Those of you living in the UK know that the Co-op sells vegan doughnuts in their bakery. I know for definite (at the time of writing this) that both the jam filled and the custard filled are sfv and delicious! Unfortunately, they are so good that they are like gold dust unless you get there at opening time to snag them (especially the custard ones, damn it!). After several failed attempts to grab a bag of those custard filled pieces of heaven I decided to see if I could make my own. 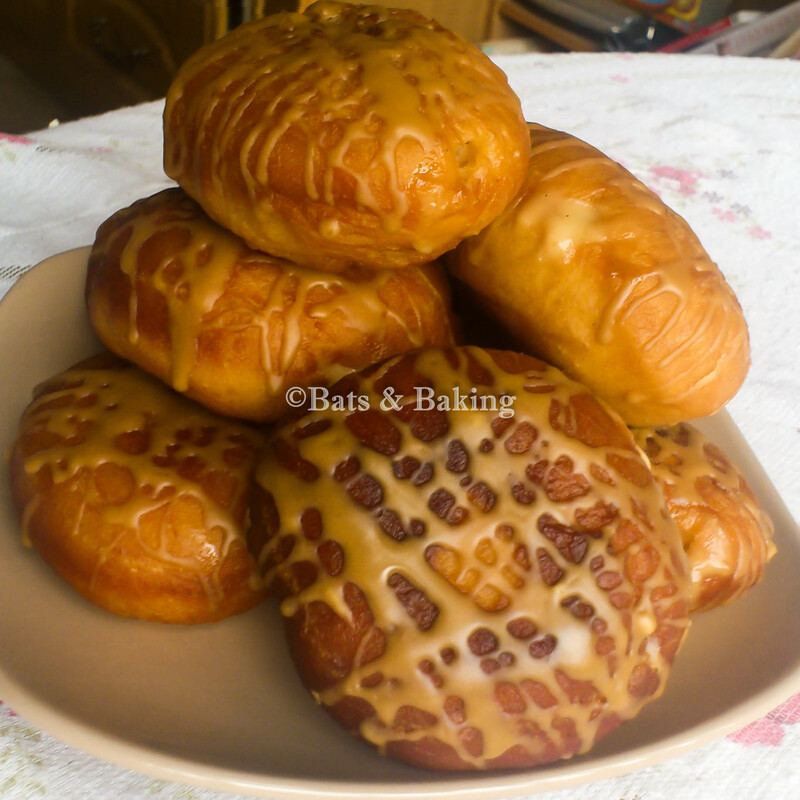 I have made cinnamon ring doughnuts before so knew the basic dough recipe I have would work just fine, but could I make the custard and get it into the doughnut? 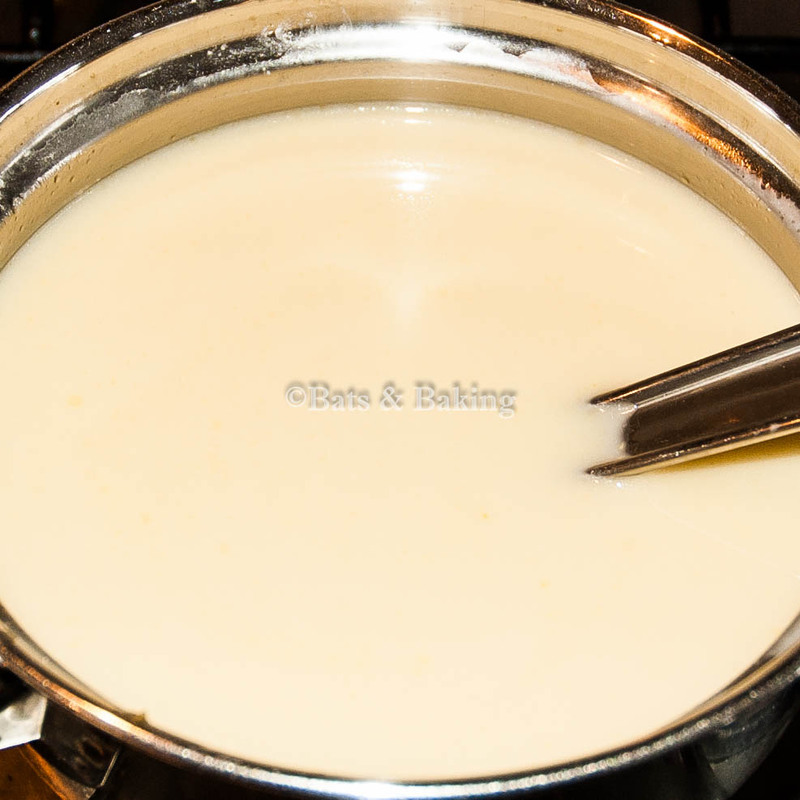 Melt the margarine over a low heat then add the milk, salt, sugar, and vanilla before removing from the heat to cool slightly. 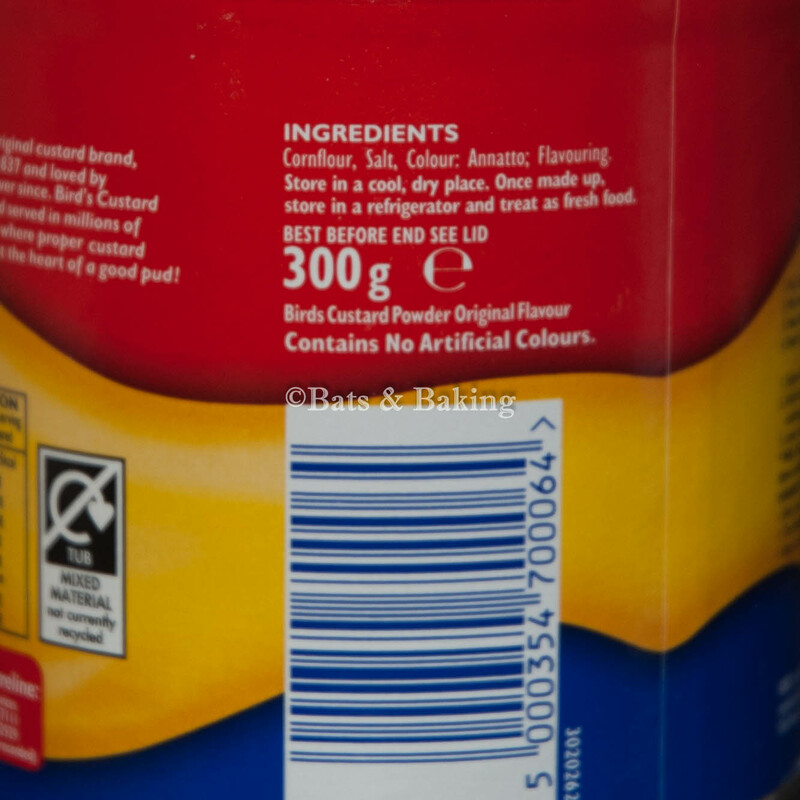 In a bowl mix the flour and yeast then add the cooled (but not cold) margarine mixture. Stir with a metal spoon until it starts to combine then work with your hands to form a ball. Knead on a lightly floured surface for 10-15 minutes. Place the dough back into the bowl and loosely cover and leave to rise in a warm place for about an hour (or until the dough has doubled in size). Roll out the dough so it is about 1-1.5cm thick and cut out 15 circles with a 2.25” (5.5cm) cutter. Lightly cover again and leave in a warm place for a further hour to rise again. In a deep frying pan (or deep-fat fryer) heat the oil to about 160°C/325°F, or until a small bit of dough dropped into the oil turns golden in about 15 seconds. Fry the doughnuts in small batches until golden brown on both sides. Remove from the oil and place on a wire rack to drain. So now we have the doughnuts it’s time to think about the custard. I love vanilla custard and so I thought I could use my vanilla custard recipe and just make it slightly thicker than usual. Removing half a cup of the vegan milk from the recipe gets the correct thickness so, once cooked, put a piece of grease-proof paper over the top to prevent a skin from forming and leave to cool. 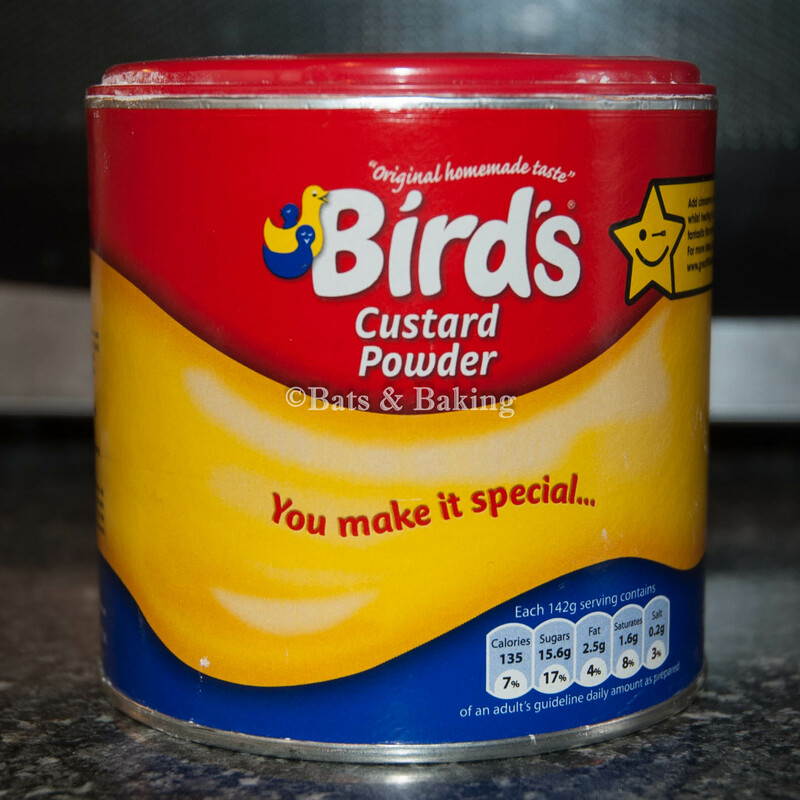 If you want to take a short cut with the custard then Birds Original Custard Powder is sfv so just make up a half batch (or a full one if you have some bananas for bananas and custard) and leave to cool with a grease-proof paper hat on as above. Once filled then top with icing or dust with icing sugar and serve! These do need to be eaten the same day or you can freeze them. 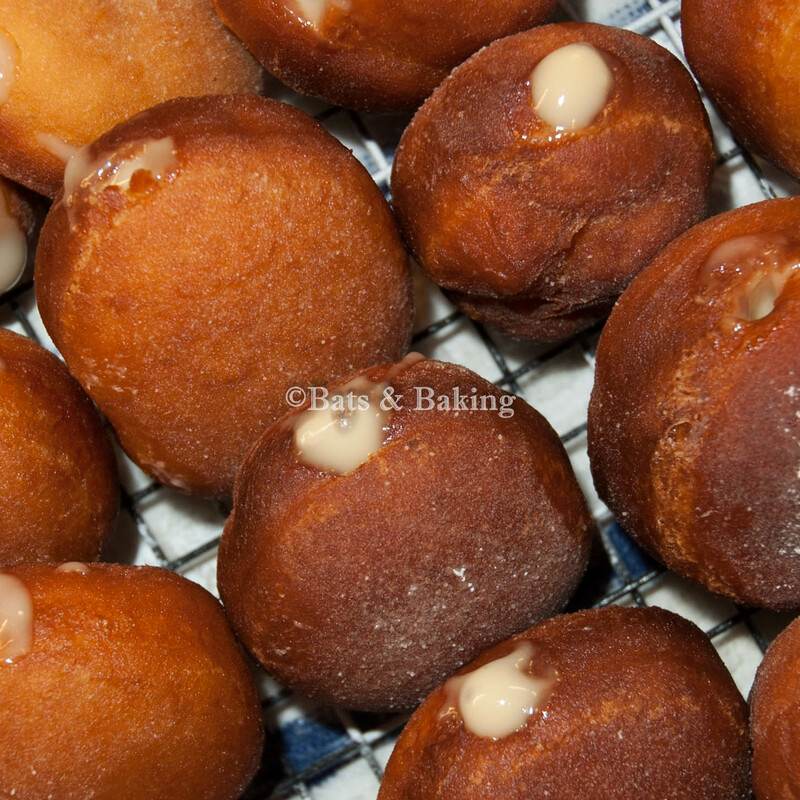 Defrost frozen doughnuts and microwave for 15-30 seconds depending on your microwave for a soft warm doughnut. Enjoy! Whisk the corn flour, sugar, and salt together in a pan. Add the milk and Vegg then whisk until there are no lumps. Heat over a medium heat, whisking continuously, until thickened. Take off the heat, whisk in the margarine and vanilla.